During a visit to Cork, Rev. Fr. 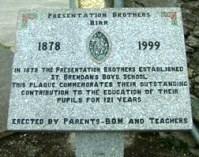 Brennan, C.C., Birr had occasion to visit the schools conducted by the Presentation Brothers. He was so favourable impressed by the system of teaching and the general atmosphere of the schools that, on his return to Birr, he suggested to the Rev. Dean Bugler, P.P. that efforts should be made to introduce a Community of Brothers to the town. 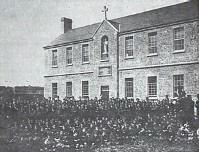 Soon negotiations were commenced and the Brothers in Cork acceded to the Dean’s request. Thus their first Community in Birr come into being. In order to provide the necessary accommodation, Dean Bugler purchased a large house and garden, hitherto the property of the Hackett family, in Moorpark Street. The Dean had the house renovated and added on an extension, which included a chapel. Meanwhile, a new school was being erected nearby on Mr. Hoare’s land. The work on both projects was completed during the summer and autumn of 1878. Mr. John Sweeney of Crinkle was the contractor for the school and the total cost was four thousand pounds, a very considerable sum in the currency of the period. As there was then no state aid for educational enterprise of this type, funds had to be provided from voluntary subscription. Dean Bugler contributed generously from his own money and received equally generous contributions from the priests of the Diocese. Large sums were also collected in Dublin and Limerick.On September 28th, 1878, six Brothers arrived from Cork and were met at the railway station by Father Brennan who heartily welcomed them to the town. The new Community consisted of: Br. Baptist Moloney, Superior; Br. Joseph O’Callaghan; Br. De Sales O’Connor; Br. Michael Kenneally; Br. Regis Kelly and Br. Leo O’Sullivan. On October 2nd, the new school was formally opened by Dean Bugler who celebrated Mass at which the pupils and many of their parents assisted. 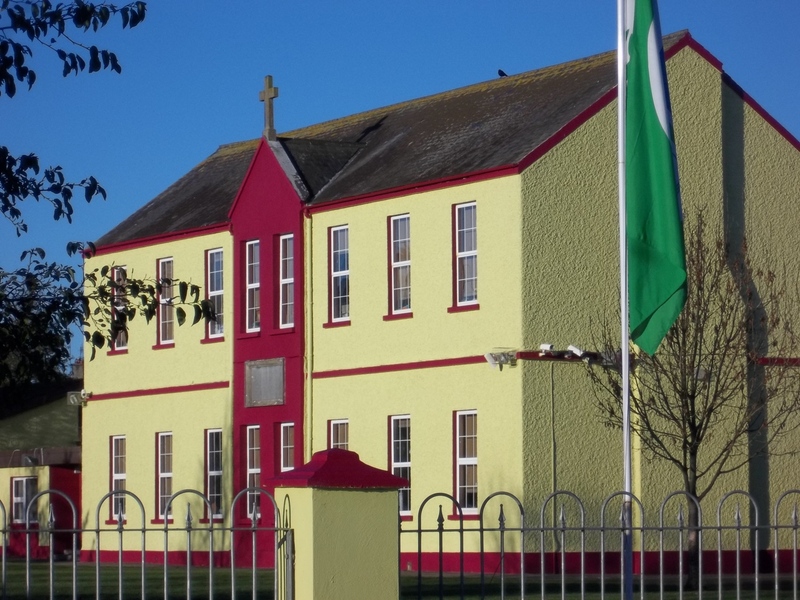 From the outset both primary and secondary classes were conducted in St. Brendan’s. The first examinations under the Intermediate Board were held in 1881 and the results augured favourably for the future. 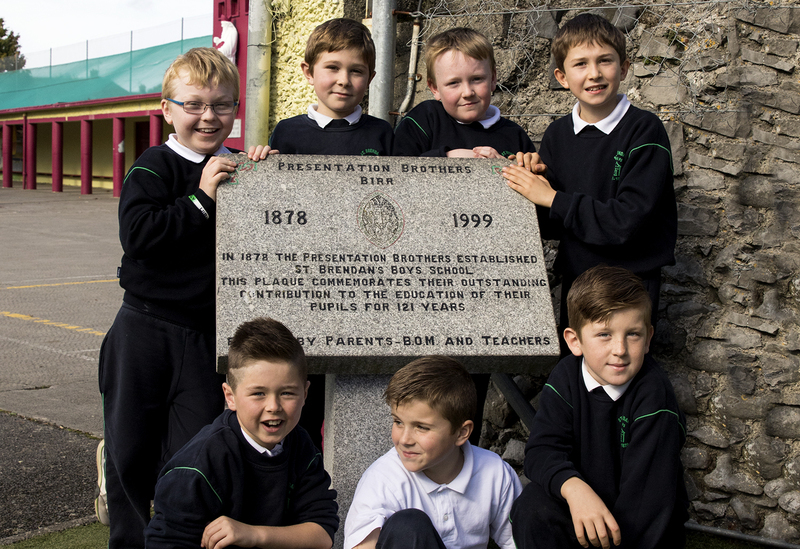 Succeeding generations of Birr boys justified this initial optimism and bore witness to their worth by their contribution to the priesthood, the religious life, the professions and the administrative and business sectors of the community. Of no less worth to their community are the many who, though less conspicuous in their various careers, give excellent testimony to their upbringing and training by their exemplary Christian lives and their commitment to their religious and social duties. All, we believe, reflect in some degree the ideal placed before them by the Brothers and the consistently dedicated lay teachers in whom the schools have always been so fortunate. After the change of Government in 1922 the Intermediate section had, for a time, to be discontinued but classes were continued where senior boys were prepared for University Matriculation and Civil Service Examinations. During the thirties secondary classes were resumed in the Primary School and prepared for Examination up to and including Leaving Certificate. This arrangement continued successfully till 1951 when the present College on Oxmantown Mall was acquired and adapted for school purposes. Prior to that time the house had been the residence and consulting rooms of Dr. Morton, well beloved physician, gratefully remembered by two generations of Birr people of all persuasions. Thus it is that Presentation College, Birr, as we know it today, came into being and successfully continued the work begun over half a century previously at St. Brendan’s in Moorpark Street. Over the years many improvements were carried out to St. Brendan’s. In 1954 Mgr. M. Quinn P.P., V.G., had the interior reconstructed to provide eight classrooms and had storage heaters and electric light installed. Further amenities were provided in 1961; cloak rooms, bicycle-shed, playground and play­shed, and both avenue and play-yard were re-surfaced. Mgr. P. Hammell had oil-fired central heating installed. He was also responsible for the provision of two classrooms for Special Education. In 1953 the “Brothers’ Field” adjacent to the County Arms Hotel, was purchased by the then Superior, Br. Ailbe, for the use of pupils attending the Brothers’ Schools. The field was fenced by Messrs. Loughnane and Sons and the dressing rooms were built by Mr. Jerry Dillon R.I.P. Many of today’s senior hurlers learned the skills of the game on that much-used field. Later the dressing rooms were reconstructed by members of the Community and the Birr G.A.A. Club. In 1984 major conversion extension and refurbishment works were carried out in the school. Six new classrooms and a spacious all-purpose room was built and many of the existing classrooms were redesigned and upgraded. In the mid 1990’s a fully equipped computer room was established and since then computers have been installed in each classroom. Mr Michael Donegan was appointed the first non-religious Principal teacher in 1998. Mr Niall Crofton succeeded him in 2010. 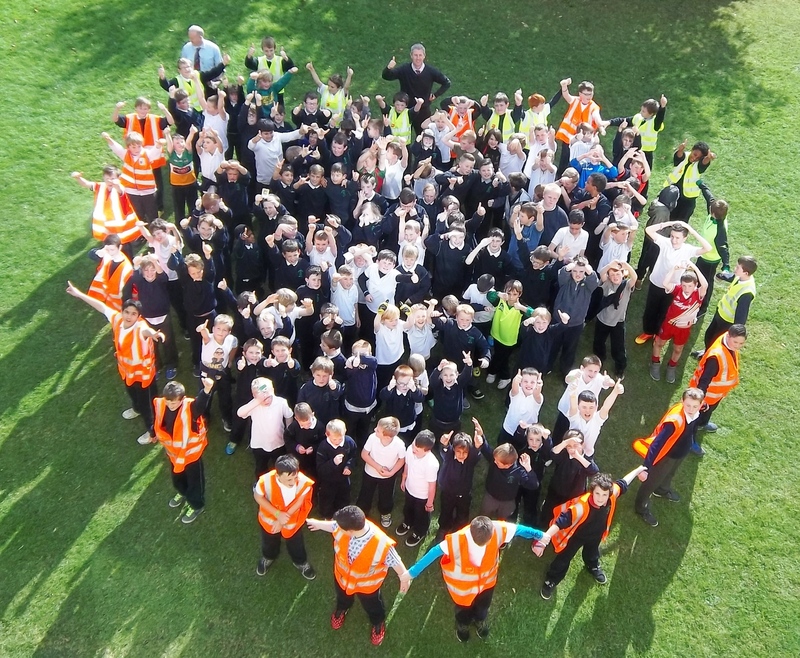 In the past 15 years the school has been greatly modernised through the DES summer works scheme in terms of new floors / upgrade of flat roof / new insulated windows / wood pellet boiler system / electrical rewire and system upgrade and development of school garden. In 2014/2015 the school opened an MGLD class and an ASD class in responding to the needs of boys within the greater Birr area. As the years move on the school and the education it strives to provide is moving with it !